Today, we have three new clips and a very special viral video for the upcoming Disney sci-fi adventure Tomorrowland. These scenes help pull pack the mystery on Brad Bird's Disneyland-inspired epic. And then we get to travel even deeper into the movie with a cool faux-commercial for the comic book store Blast From the Past, which features Kathryn Hahn and Keegan Michael Key in character as the stores owners. And there's even a cameo from Brad Bird's first animated feature as a director, The Iron Giant! Tomorrowland is a riveting mystery adventure starring Academy Award-winner George Clooney. Bound by a shared destiny, former boy-genius Frank (George Clooney), jaded by disillusionment, and Casey (Britt Robertson), a bright, optimistic teen bursting with scientific curiosity, embark on a danger-filled mission to unearth the secrets of an enigmatic place somewhere in time and space known only as "Tomorrowland." What they must do there changes the world - and them - forever. Featuring a screenplay by Lost writer and co-creator Damon Lindelof and Brad Bird, from a story by Lindelof & Bird & Jeff Jensen, Tomorrowland promises to take audiences on a thrill ride of nonstop adventures through new dimensions that have only been dreamed of. 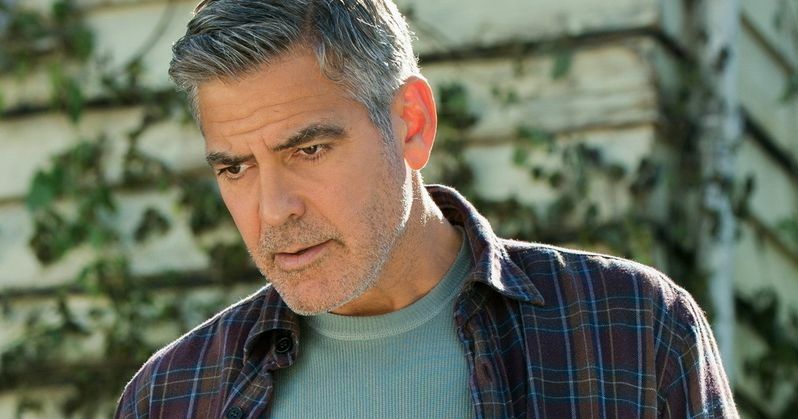 Take a look at these latest clips, the first of which finds George Clooney and Britt Robertson battling killer robots in their attempt to travel to the future world of Tomorrowland. The second clip has Casey discovering the powers of a mysterious pin that allows her to see into Tomorrowland. And the final clip shows how useful having a jetpack can actually be. Take a look, and enter the mysterious and magical realm of Tomorrowland!